Replacement glass section for the Ello Tank (2ml).. The ELLO atomizer features its all-new HW series coils, bringing you ultimate vaping experience with..
Joyetech Exceed D19 Tank The Joyetech Exceed D19 tank is a compact tank featuring simple to use.. 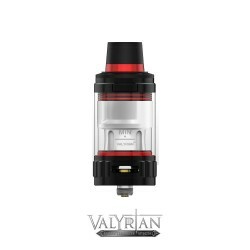 Taking lead from the Slider Pro tank, the Slider tank keeps the same high build quality and sliding ..
Uwell Valyrian Sub-Ohm TankUwell presents the Valyrian, an evolutionary Sub-Ohm Tank platform presen..